Site for sale with countryside view, this circa 0.52 acre site is available for sale AS IS. Located in the townland of Thrumnasrah, Clooniffe, 6km from Moycullen village, 9km from Galway City and just 2.5km off the N59 Galway-Clifden road. Local housing restrictions apply to planning being granted. 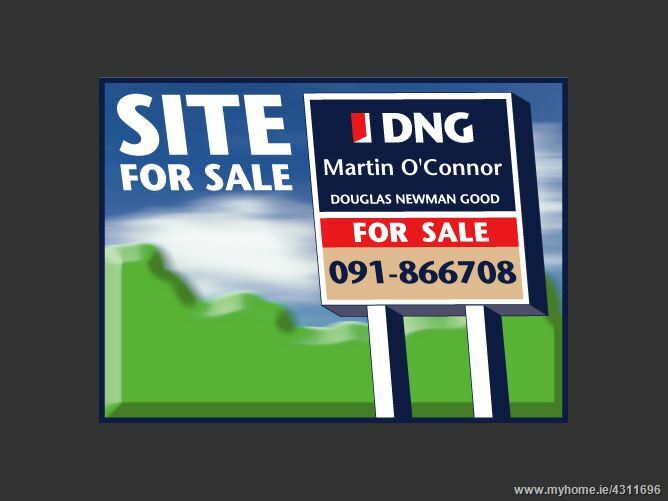 The site is located on left hand side of the Clooniffe Road immediately after House with Eircode H91 E7K3 and also identified by a DNG Martin O'Connor For Sale sign.